Casa Doreena is a private and peaceful 3 bedroom retreat, complete with large swimming pool, stunning tropical gardens and located in a quiet traditional village presenting a fascinating insight into the traditions of rural Bali. 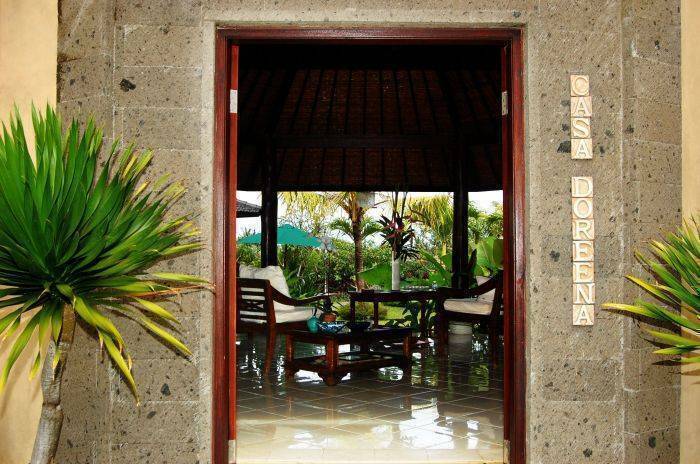 The owners have created an oasis set on 1000 sqm of land, it is what Bali is about and it will delight you. 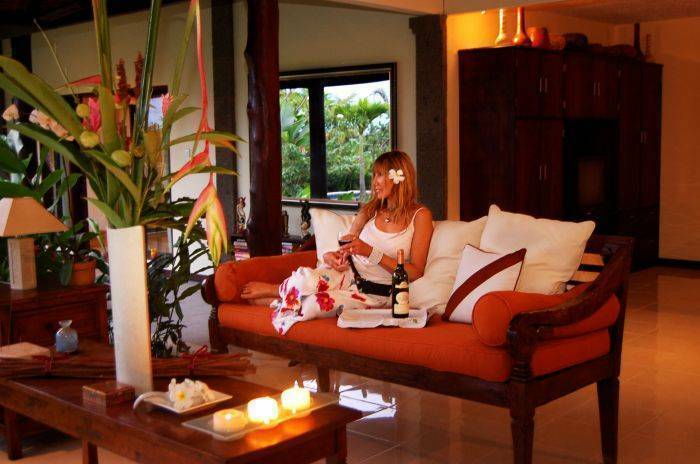 You'll enjoy the comfort and informality of staying in your own villa and it will soon become your home away from home. It will accommodate 3 couples or a family in style and comfort. The single-storey villa consists of 4 large interconnected pavilions, each with high racked rattan ceilings, opening direct onto the lush tropical gardens which are a highlight of the property. There are numerous relaxation areas, whether in the garden or under a veranda, so guests will always find private spot for peace and quiet. In addition to this, guests have the choice of outdoor, pool-side or in-room dining, all of which present a unique ambience. The gardens are fully developed and beautiful; they are full of coconut palms, frangipani, papaya, mango and avocado trees, plus many other delightful plants and flowers. 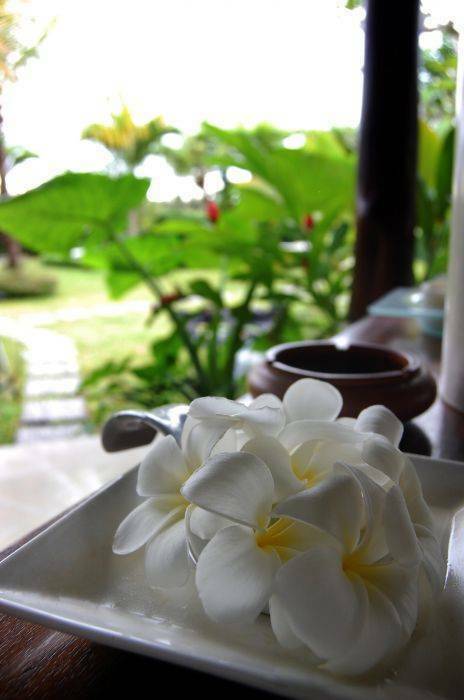 A stay at Villa Casa Doreena is not just a great tropical holiday it is the opportunity to have a Balinese cultural experience. 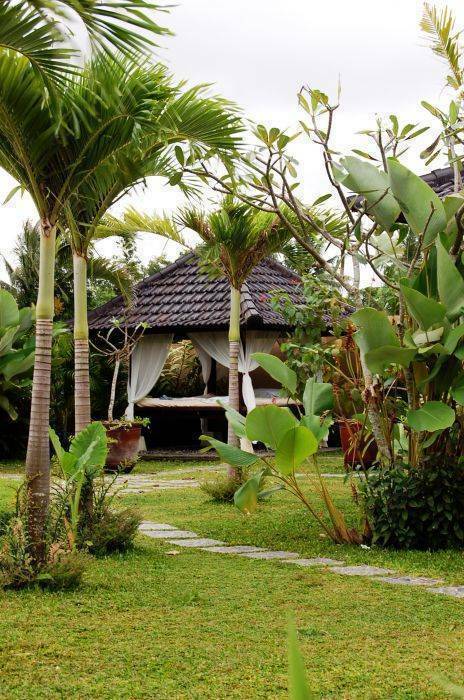 Situated in the rice paddies, just minutes from the surfing beaches of Pererenan and Canggu you are part of life in a traditional 'banjar' (village). The villa is extremely private, with glorious tropical gardens and you just close the doors to enjoy full privacy and the comforts of what will soon become your home away from home. 3 large airconditioned bedrooms, with airconditioning and mosquito nets. Large marble ensuite with bath and shower. 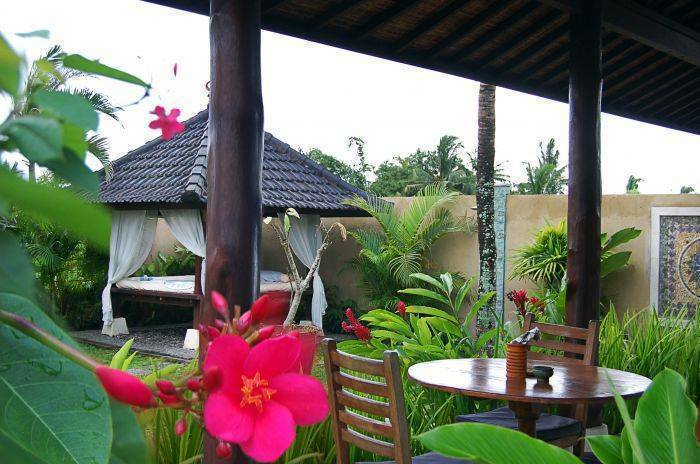 The Canggu/Pererenan area is on the west coast of Bali, approximately 35 minutes from the airport and Kuta. 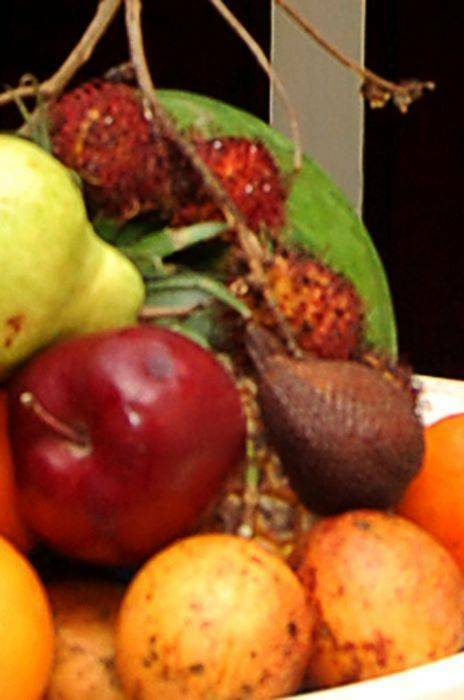 It is just 20 minutes back to the busy and trendy shopping areas of Seminyak & Legian. The surf beaches of Pererenan, Canggu and Echo Beach are just minutes away. The surfing beaches of Canggu and Perereran are just a few minutes away. Ubud, the cultural centre is a 1. 5 hour drive away. A 30% non-refundable deposit will secure a booking. The outstanding balance is payable the week before you arrive. Motor bike and car hire available. A driver is also available.